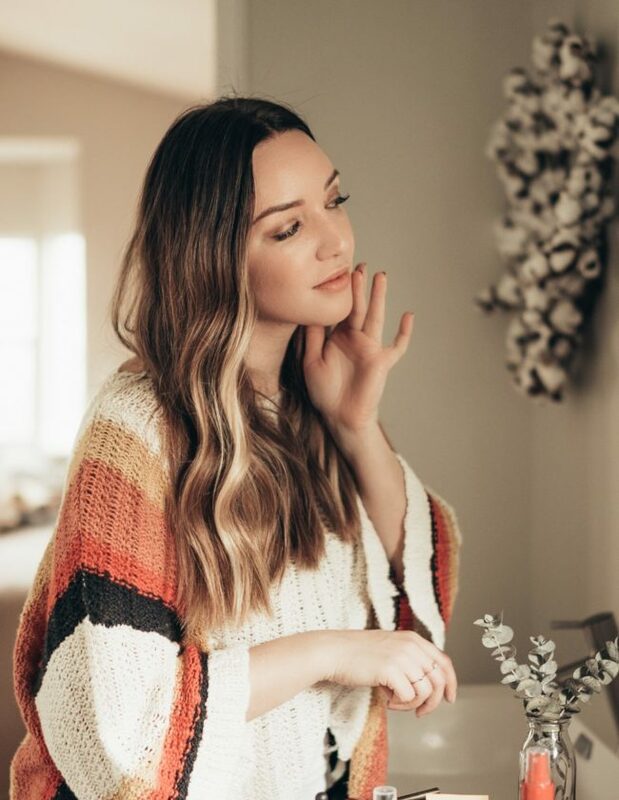 It’s not common that I spend my time getting ready for a night out with girlfriends anymore–usually it’s just me at home and doing my hair and makeup and then meeting up with the girls. 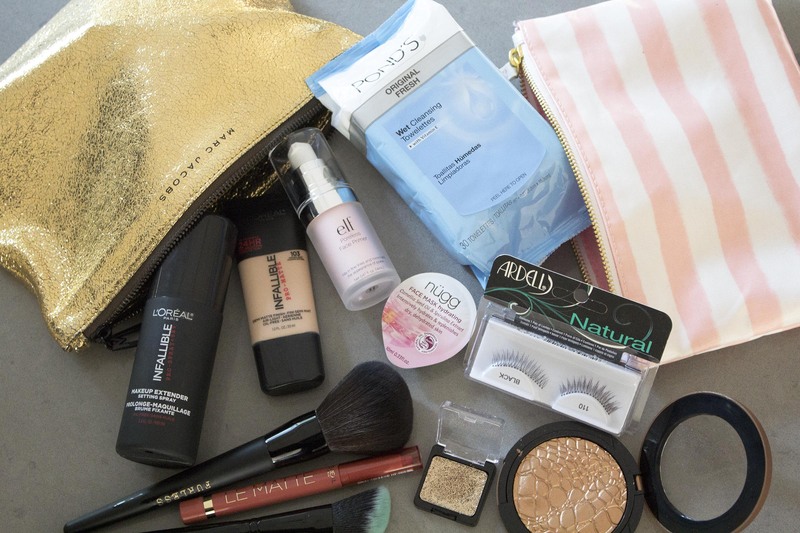 But on a recent trip to Las Vegas, I found myself sharing beauty products with friends because ‘you’ve just got to try this!’ After a few days swapping makeup bags, I headed to my local Target to pick up some of my new favorites that were recommended to me first hand. Sonia Kashuk Bronzer – I like this bronzer because it really is bronze with a metallic sheen. This bronzer actually works really well to transition to fall because of the warm color. Apply just a dusting along the cheek bones for a warm glow. 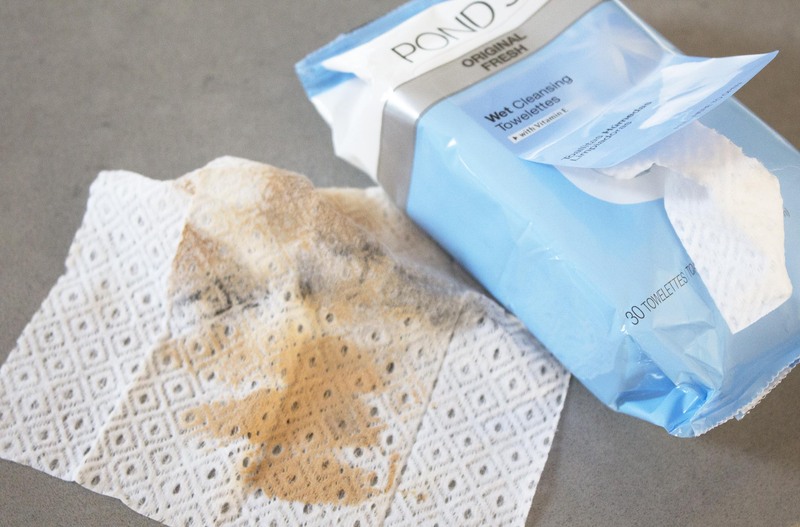 Ponds Wet Cleansing Towelettes – I’m face wipe obsessed, that’s no secret! One of my friends recommended these to me and I’m happy to say they have worked their way into my rotation. She shared how her mom actually got her hooked on these wipes in the first place because they wipe off an entire face of makeup in one swipe while still being super hydrating–amazing! One of my favorite things to do after a night out with the girls is take a facewipe and remove all my makeup to prep for nighttime skincare. Moms always pass down the best tips don’t they? Thanks mom! L’Oreal Infalliable Pro-Matte Foundation – I was skeptical to try this one night was told I would love it. Typically my more dry to normal skin wouldn’t mix well with a matte foundation but for a night out in Vegas (or anywhere), this was such a flawless coverage. 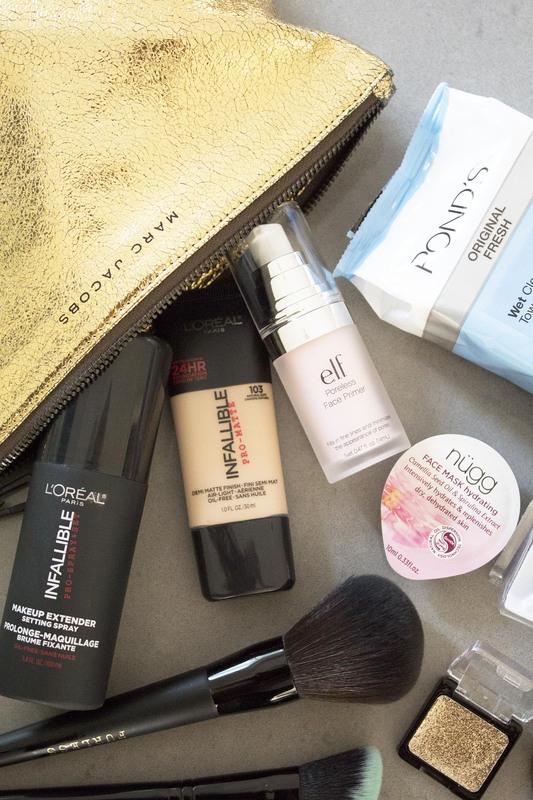 Once my full face of makeup was complete, I set it with the L’Oreal Infalliable makeup setting spray and my makeup is not going anywhere! L’Oreal Le Matte lipstick in She’s So Matte – This is my new favorite matte lipstick. I like the thin shape of the pencil so it can be used to precision line as well as all over color application. Elf Poreless Face Primer – This primer works as well as some of the pricey primers, plus I’m loving the packaging. What products have your friends gotten you hooked on? It’s always great to hear recommendations from your friends! Sponsored by Lunchbox, all opinions are my own. Love beauty recommendations from friends! The L’Oreal Infalliable Pro-Matte has been my jam lately! So glad I tried it out — really nice with the beauty blender and wears really long! LOVE this look!! So adorable!!! Thanks for sharing!